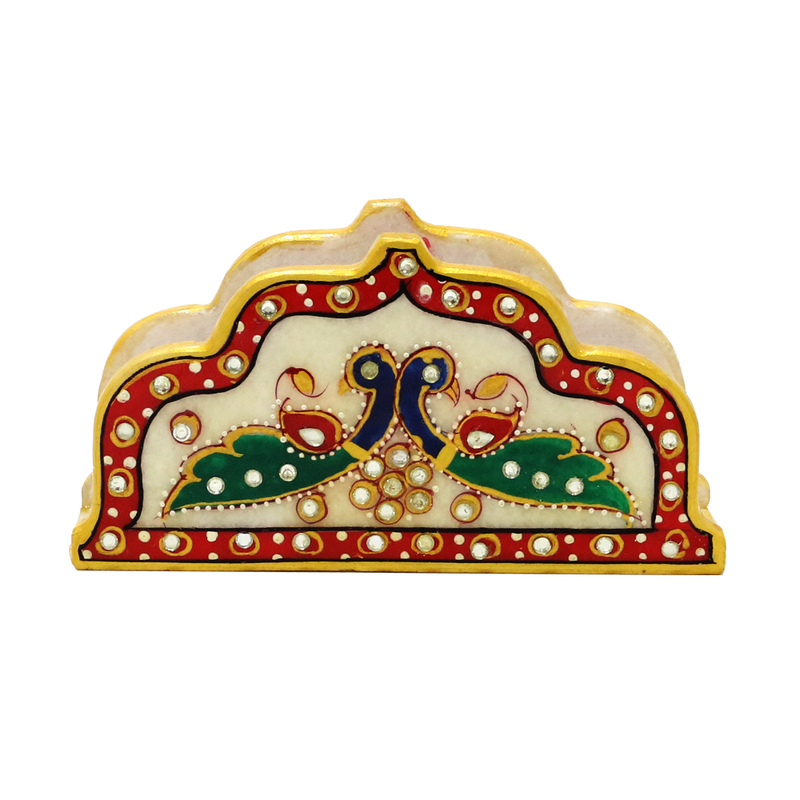 The marble tissue holder is decorated with kundan and meenakari work which is best suitable for the dining area. The tissue holder is dome shaped Read More..in the form of flower petals. The red outline gives the holder an attractive look. The two peacock facing against each other makes the center of the tissue holder. the presence of such a piece on the dining table reflects your good taste for artifacts. Show Less..